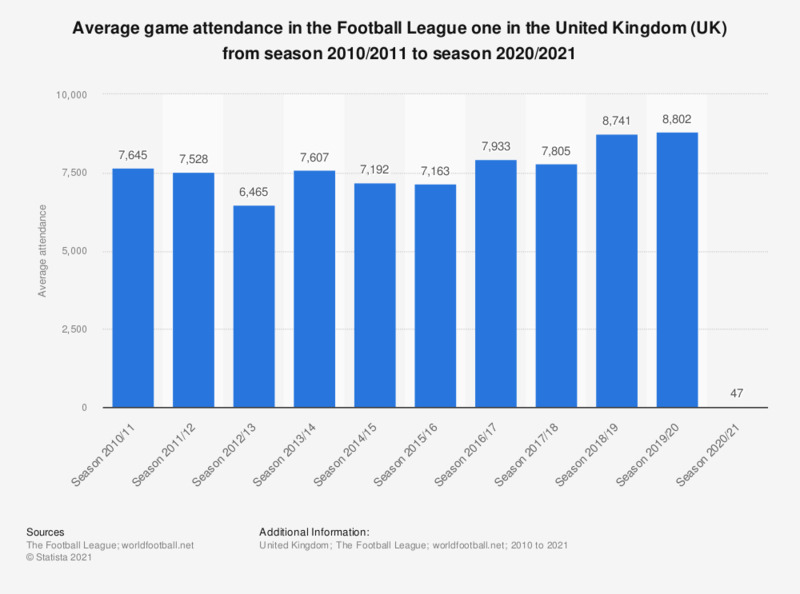 The statistic displays the average game attendance in the Football League one in the United Kingdom (UK) from season 2010/2011 to season 2017/2018. During the 2014/2015 season, the average game attendance in the Football League one was 7,192 attendees. The Football League 1 is the third highest football league in the UK, after the Premier League and the Football League Championship.